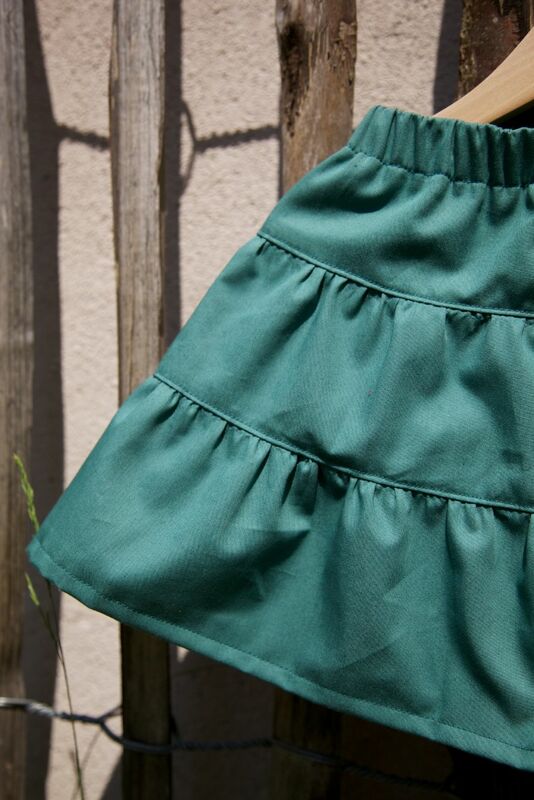 Making this skirt & shorts was a good lesson to practise to get the perfect ruffles. I’m really in love with the result: it’s such a nice basic piece of garment! 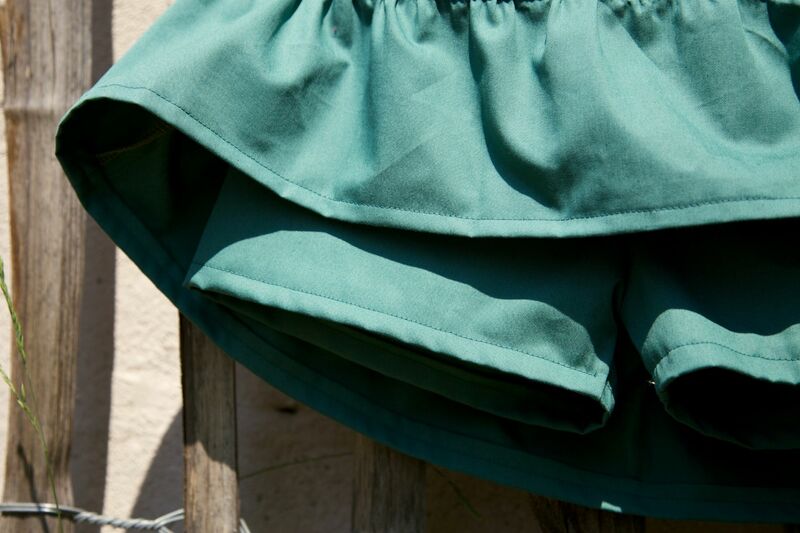 The shorts underneath the skirt are just that little extra… I made this one to wear together with the Ayashe Blouse. But to be honest: the skirt & short turned out to big for my girls. I was a little bit disappointed because I was really happy with the result! So I thought: why not sell this one and make a smaller one for the girls? But I can’t sell a piece of garment without my own label: so I just designed one. 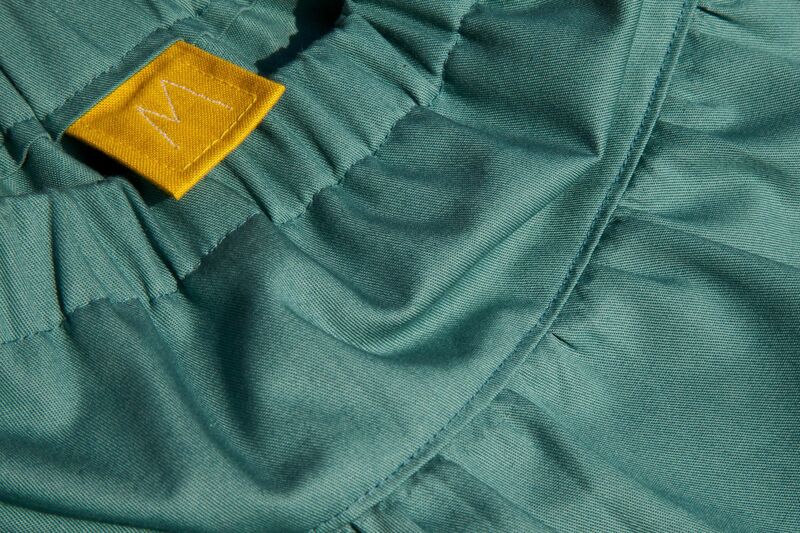 Do you like my skirt & shorts with the unique label? I sell it thought Etsy! 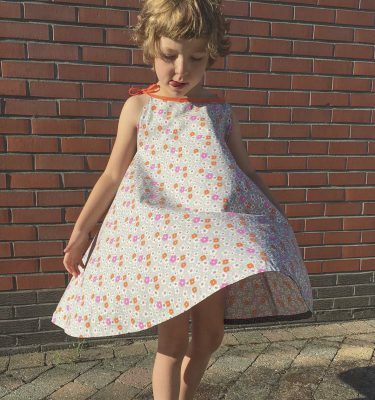 It’s for 3YO – 4YO girls. I only have one so first come, first served… But I also sell one other item from my blog (also because it’s still to big). Just check it out! So now let’s go back to Sanae! When I mailed her, she told me her next project would be the very same skirt & shorts! What a coincidence. A perfect raison to organise ‘One pattern two styles’ again. I’m such a big fan of her work. 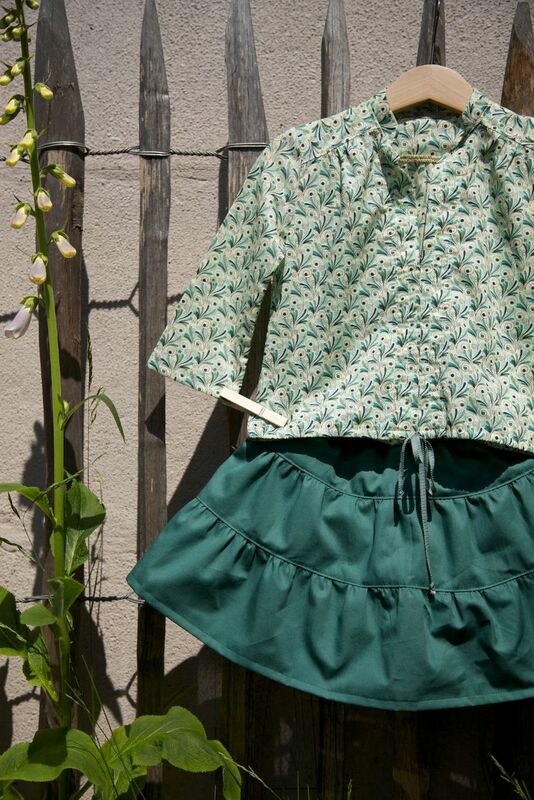 She probably will not now this: but one of my very first pins was one of her creations… Sanae made the skirt & shorts in a golden polka dots jersey. It really turned out to be a totally different version and that’s why I like ‘One pattern two styles’ so much. The golden polka dots are perfect for this skirt & shorts. Sooo cute! As you know, I’m a golden polka dot fan too. 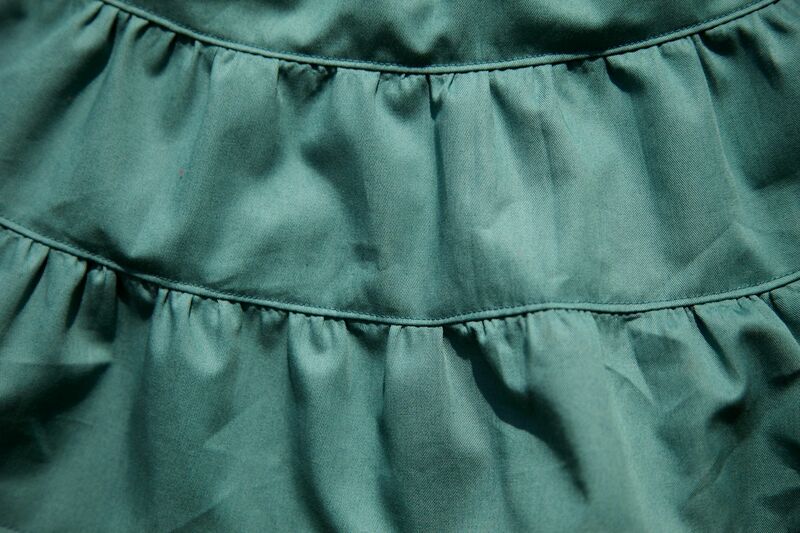 I don’t like making ruffles in jersey, but Sanae did a perfect job! Thanks a lot for this beautiful result. I love your pictures a lot! So if you don’t know Sanae Ishida’s blog yet, just visit her now… I can already tell you that sewing is not her only passion! This was so fun, Marte! Thank you for your kind words and I love your version of the skirt (and that fabulous Ayashe blouse)! I recently got this book too and am excited by all the possibilities in it:) It was so fun to see the same pattern interpreted by both you and Sanae – amazing how choice of fabric can change the look so much! I’m excited to see more of your sewing using this book – I think you will enjoy using Japanese patterns. Beautiful Blouse, I love it! Followed Sanae’s link over here….very cute! Love how different these two versions seem. Love that pattern book, as well…I still need to make the jump into sewing with patterns written in another language, they are jut too irresistible!